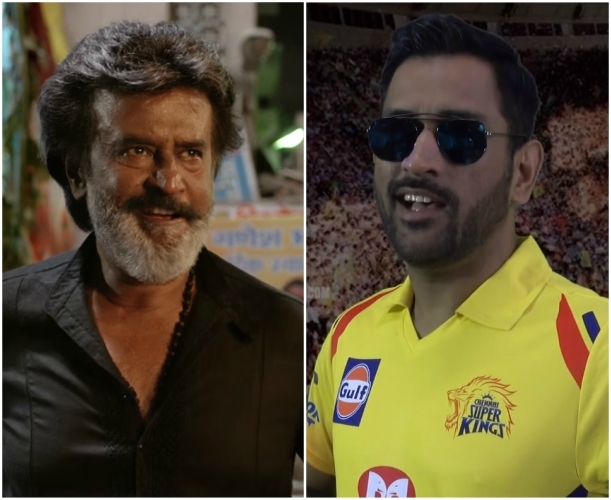 A reprised version of Kaala teaser was released which has Chennai Super Kings players Harbhajan Singh, MS Dhoni, Darren Bravo and Murali Vijay mouthing the lines in Kaala style. Kaala has a stellar star cast with few big names from Bollywood including Nana Patekar, Huma Qureshi and Pankaj Tripathi. Kaala is being produced by Rajinikanth’s son-in-law, actor Dhanush under his home banner Wunderbar Films. The music of Kaala is being rendered by Santosh Narayanan who had also composed the music for Kabali directed by Pa Ranjith again. The song Neruppu Da became a rage amongst music lovers across the globe and not just amongst Tamil movie buffs. Expectations on the album of Kaala is quite high since the first look posters of the film indicate that Rajinikanth would be seen playing a powerful don in the film. Kaala is said to be set in the slums of Mumbai’s Dhaaravi. Eswari Devi will be seen playing the role of Rajinikanth’s wife in Kaala while actor and filmmaker Samuthirakani will be seen playing an important role. Kaala was supposed to be released on April 27 but there seems to be a delay in the release, according to reports.